My 7 months old baby eats been on solids like peas, sweet potatoes, applesauce, pears, oatmeal cerelac, prunes once or twice a day for nearly 2 months. I sometimes give her apple prune juice and pear juice. But it is 4 days since my baby pooped. She never had a problem with her poop as long as I was breastfeeding her. She didn’t have problem when I was giving her formula either. Looks like she all of a sudden caught up with this problem. Sometimes she cries if her poop is hard and if she poops after 3 days. Sometime though she poops after 2 days, her poop is soft and it doesn’t affect her at all. Though she has not pooped for 4 days now, she is active as usual. Kindly suggest what I can do to just get things right. Your daughter reminds me very much about my youngest son. His tummy took the longest time to get used to solid foods. Becoming constipated when introducing solid foods is quite common particularly among breastfed babies. You probably need a 2-step solution. The first step is to mitigate the constipation right now and the second step is to make sure it doesn’t come back. Step 1: To mitigate the immediate constipation, you can breastfeed as much as possible and combine it with baby massage, in a clockwise direction, starting at her navel and moving outwards. A warm, relaxing bath can also help. You can also read about, more remedies here. Step 2: To prevent future constipation, the best thing you can do, if possible, is to go slowly with the solids. If you can increase the share of breast milk or formula again (breast milk is better than formula), it will help mitigate the constipation. Then continue breastfeeding or offer formula as the bigger part of her diet for some time more. And when you give her solids, make sure they are not contributing to her constipation. It seems like you are already doing a good job with offering her prune and apple juice and so on. You can also try apricot puree and prune juice. No carrots, white potatoes, dairy products, rice cereal, and unripe bananas for example. Apple sauce can also contribute to constipation, so you may want to stop giving her that. Avocado, sweet potato and pears are great for preventing constipation, as well as prunes, peaches and peas. 7-Month-Old Hasn’t Pooped For 2 Weeks – Normal? Thank you Paula for your thought on my problem and suggesting things. The tummy massage and warm bath worked out really well with my baby. Did you try giving your baby some green juice? I’ve had this with my daughter, and it helps to breast feed more, or add more liquids in the diet. Juicing is great for babies health too, it gives them all the nutrients they need and is easy on their digestion. (Green juice = greens of choice, can add apple and carrot for sweetness). Note by Easy Baby Life: Just make sure you do not pick any greens that can be dangerous for a baby yournger than 1 year old. You can read about foods to avoid for babies here. Get a fresh pawpaw,slice a bit,mash it with the back of the spoon,add some lukewarm water to create enough juice for the baby. Give the juice often even twice a day, everyday. Baby wont have constipation ever. May 02, 2013 7month old son Having a hard time pooping!! I Just want to say Thank you for taking the time to answer my Question… I have a 7 month old son and He is now slowly eating solid Foods and is drinking two percent. I try feeding him different formula and he keeps throwing up. so I put him on 2 percent he doesn’t throw up but does have a hard time pooping and its Hard and Yellowish. Is that bad or ????? May 12, 20113 Don’t give 7 month old two percent milk!!!! To the lady who is feeding her baby two percent milk- STOP! 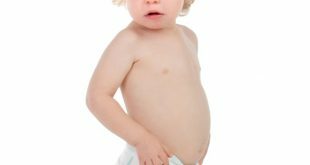 Babies need fat actually for brain development. Babies should not get low fat foods until AFTER they are usually about 2 years old. We have changed to a new commenting system. Add your comments below or return to Baby Constipation Q&A.